Allowing Greater Soul Advancement & More Abundance in Your Life!! lifetimes of shadow material with its pain and travail. Now you can receive a powerful personal healing from Aurora without needing to be present. Meditate at that time or simply receive wherever you are!!! 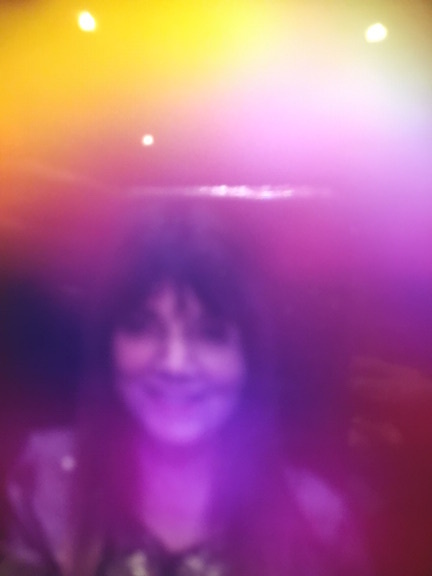 This image is an aura picture taken of Aurora right after a Divine Healing Transmission. Experience a taste of her healing (via video Imaging) and receive a Great Blessing Now! Aurora has been a Vessel of Light and Healing since her teens. Her healing work has had miraculous results with a host of conditions once thought incurable, unchangeable, or irreversible, freeing people across the world from what would have been life sentences of suffering. Aurora is a Universal Presence of great good will, catalyzing those who come into contact with her into their Authentic Selves. Her insights and healing abilities are remarkable as is her uncanny ability to draw information from the records of the soul as she skillfully clears the past, freeing you to live more fully in your Divine Nature! Distance Healings with Aurora are divinely initiated offerings through our Virtual Healing Temple to help support you in an accelerated Ascension into greater aspects of your Divine Self so you can fulfill a higher Destiny than what your human programs would allow. Now more than ever, humanity is ready for a leap in soul evolution. What can take place in each healing is beyond what has been able to be accomplished before as more human programs can now be cleared and without you needing to be present. Each healing allows your soul to release everything it is ready to step free of, which opens the doorway to greater abundance, health, happiness and wellbeing. Tons of debris in the human psyche, elementals and the Earth are transformed each time (similar to each Global Healing Forum), helping advance humanity into an Age of Freedom, Enlightenment and Peace… and setting you free to anchor Heaven on Earth in your own life experience. with all its false beliefs and patterns that have held you back? as a Power Manifestor creating your best life? and fully accept True Wealth as your Divine Birthright? so you can actualize your greatest potential and fulfill your True Destiny. Support an Unparalleled Soul Advancement in the Earth with each healing. 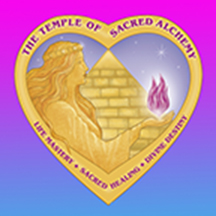 These deeply personal Distance Healings allow you to experience Sacred Alchemy, the Inner Transformation of Self, which transforms baser aspects of self into the gold of your True Nature. This is a rare opportunity to receive healing from Aurora and the Divine Ones as needed at an affordable price. As you step into your Authentic Power and experience your Authentic Self, you will never be the same! Through our Distance Healings and monthly Global Healing Forums you will be taking an unparalleled leap in your Soul Advancement. You find greater PEACE as you align more fully with your innate divinity… and live your Highest Destiny Potential… realizing a simplicity and expansiveness that allows you to fully blossom into the glorious being you are. An Eternal Immortal Spirit with a Great Destiny to fulfill! Destiny Codes are activated in each Distance Healing, restoring you to more of your Divine Pattern. As your soul releases the past with all its self judgments, patterns and limiting beliefs, you come into a fuller understanding of your life journey and the significance of your gifts to the world. You stand in a greater authority than ever before and can more easily sustain in your Authentic Self. Living the Truth of Who You Are, you see your SELF in all its glory, and find you can love yourself absolutely, which helps you stand in your Authentic Power, with clear boundaries, bringing your Voice and Offerings to the world. Untold Blessings, Miracles, and Magic abound! Divine Healing Transmissions with their powerful activations, healings, and re-alignment of your soul to the Divine Pattern brings untold blessings, miracles and magic into your life. Living in the Miracle Consciousness, your life can become an exciting and spectacular adventure. Self Mastery in the key, as you release shadow aspects as they arise, transforming them at the deepest levels.